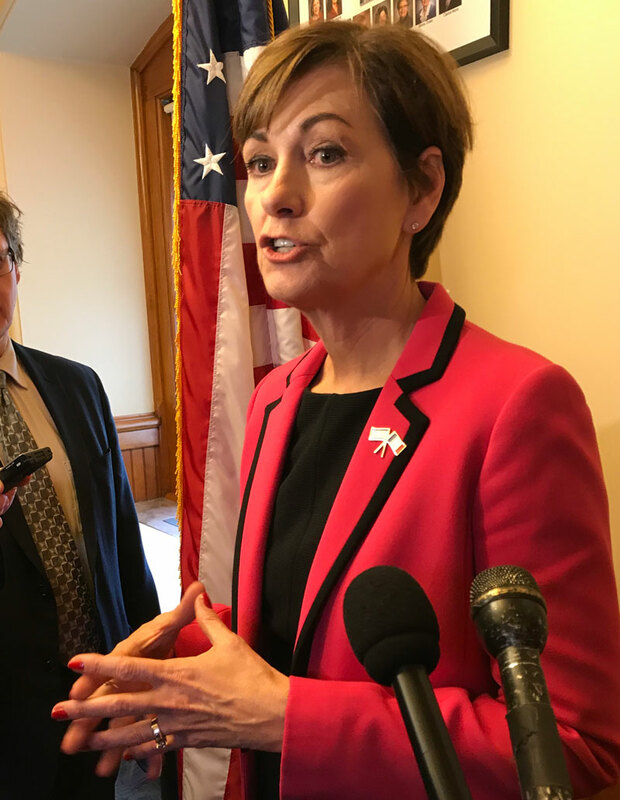 Governor Kim Reynolds is headed to Council Bluffs to meet with the governors of Nebraska, Missouri and Kansas later this afternoon. Representatives from the Army Corps of Engineers and the Federal Emergency Management Agency will be there, too, to discuss how best to recover from what Reynolds calls “catastrophic flooding” along the Missouri River. Reynolds said because of the topography, it’s important to coordinate what happens on both sides of the river and that’s why the four governors are focused on a regional response. Reynolds made her comments to reporters at the statehouse early this afternoon before she departed for Council Bluffs.